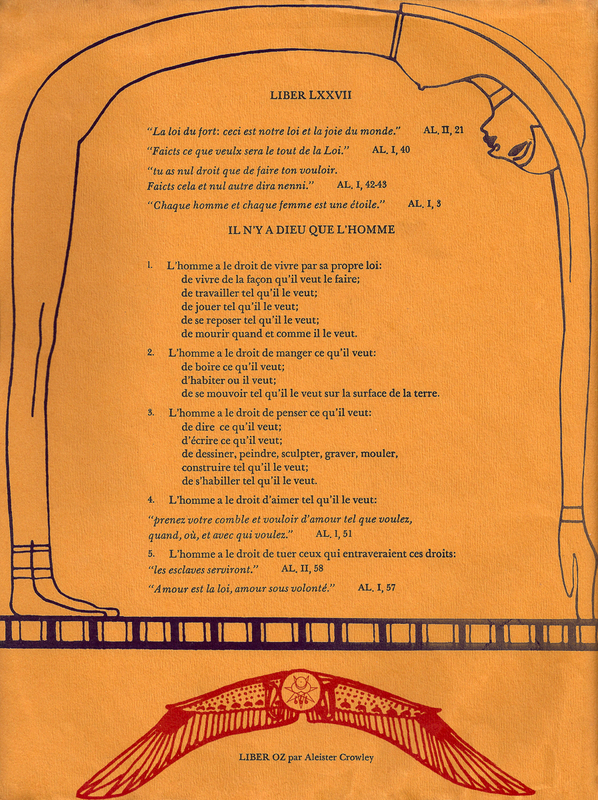 Liber OZ published by 93 Publishing and distributed through 418 Bookstore in Montreal, Canada and identical to the Orange French edition published at the same time. (Image above is of the French edition). Printed in black and red ink on orange textured paper – circa 1970’s. A single sheet measuring 8.27” X 11.69” – (Standard A4).